Hey there! Thanks for stopping by and checking us out! Be sure to see "On The Boards" and "The Blog" sections for the latest in good design! 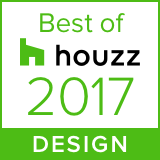 Central Florida's Premier House Design Specialists! The "Livable House." They say form follows function, and at MJS Custom Home Design, we also say "make the house truly livable." In other words, create spaces not rooms. Design for practicality but also make it new. Listen to the client, then sit down and design right in front of them. Truly a dying art, but not for Michael J Sopoliga, the owner who has been designing truly livable houses here in Central Florida for over 30 years. View images of our latest designs. Check out "On The Boards" for the latest concept designs! Click below to view examples of our recent project. MJS Custom Inc completed an outstanding design for us. We are building a 10,000 sq ft home in Reunion Resort and cannot say enough about how happy we were with MJS. Jason and Michael carefully listened to what we wanted, added their expertise and creativity to our vision and gave us a design that far exceeded our expectations. They were able to stay within our budget and still give us a unique, beautiful and creative home. We are so happy every time we walk through our new home that we chose MJS as our residential designer. My wife and I are building our dream house, which is a huge undertaking. When building a new home, it takes a lot of trust and guidance to get all the pieces to fall into place, so finding the right home design team was crucial. We definitely found that and more with Michael, Jason and their team at MJS. I found them to be great to work with, very knowledgeable about the rules of construction and the construction process in our area. They are very good at providing guidance on design but listen very carefully to your vision and try to execute that into the plans. Their commitment and work is unparalleled. If I had to do this project over again, I would definitely work with this firm. I cannot say enough good things about this team. From the moment we met this team we felt comfortable that they had our best interest at heart. Since my wife and I had never gone through a home building process from the design phase the MJS team team were patient but at the same time gave us the advise to ensure our home would be built to our satisfaction. Every detail was discussed to avoid future mistakes . Trust is very critical when building a dream home and we trust MJS. MJS INC & Kargar Homes...a formidable team! MJS INC designs downtown lots with great curb appeal.